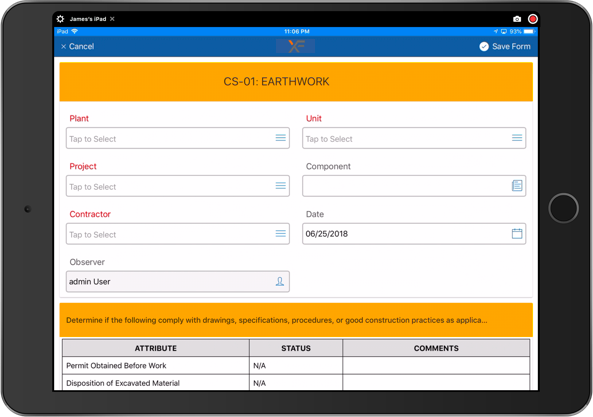 We build custom mission-critical smart web and mobile applications that replace complicated, messy, unwieldy spreadsheets and paper-based field forms that are prone to errors and require a lot of manual labor to populate and maintain. Our knowledge and experience gets the job done, right. Born as an environmental consulting firm in 1991, we can—with confidence—say that we carry deep knowledge of the environmental, electric utility, and health and safety industries. In 2008, we acquired the intellectual property of the Adesso Sync Engine, a now mature, enterprise-grade database product powering a multitude of applications requiring rich full bi-directional offline sync and highly granular user permissions. We use this engine, along with other tools, as the underlying database schema for many of the apps we build. Because of its rich API, we can hook in apps built in .NET, Java, and other languages relatively easily. **NOTE** As of 12/31/16 we are no longer developing new apps on the Adesso Platform. It is being used solely to host and maintain existing apps built prior to that time. We have since migrated new project development to a new platform—XForms. If you are in need of a simple online form or static website in WordPress, we do that too. And if you need something more complicated, like a database-driven application to replace a messy and complicated spreadsheet or really complicated forms, offline capability, complex workflows, or remote full bi-directional sync with automatic conflict resolution and audit trails—and you can’t seem to find anything in the marketplace that fits your needs—contact us to discuss your particular project. No application too big, no job too small. From commissioning/startup software at multi-billion-dollar power plant construction projects to health and safety incident rate statistics and contractor scorecards recording millions of contractor hours annually, we have developed (and often host) mission-critical applications for large firms, including Duke Energy, American Electric Power, Arcadis US, and others, saving them literally thousands of work hours per year entering, managing, and distributing their data. We can help you go digital. Our passion is the elimination of paper-based processes. As such, we have attempted to replace millions of paper chain-of-custody forms with electronic equivalents. 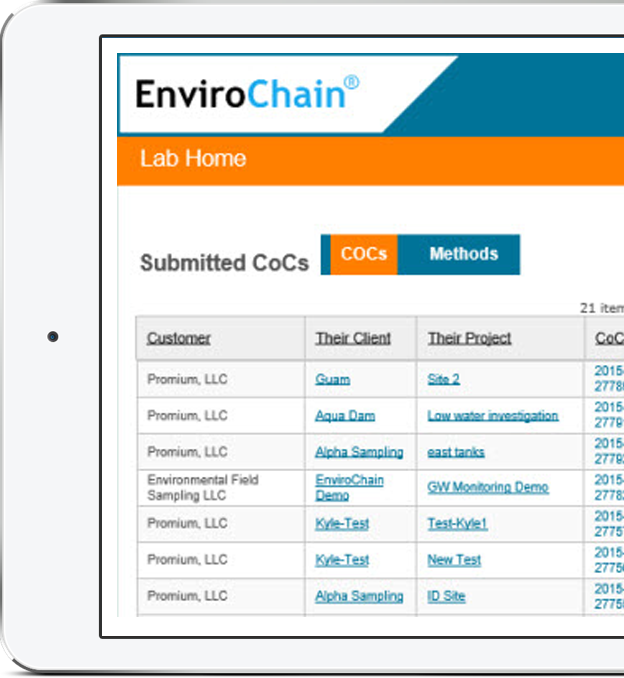 This effort resulted in EnviroChain®, an electronic chain of custody platform which we initiated and then licensed exclusively to Promium, makers of ElementLIMS, a lab information management system powering roughly 40% of the environmental laboratories in the world. Through this effort, it is our hope that the environmental industry moves from inefficient paper forms to smarter electronic forms using iPhones, Android phones, and other modern devices. We also build custom-designed, SEO- and mobile-optimized websites for clients in a variety of industries. Click on the button below to view some samples of our work.